It’s Jam Jim………… But not as we know it!! So it’s been a porcine type of day. I’ve got around to curing some pork for bacon (more on that when it’s ready) and also made some Bacon Jam….. Yes meat jam! Sounds weird? Keep reading! 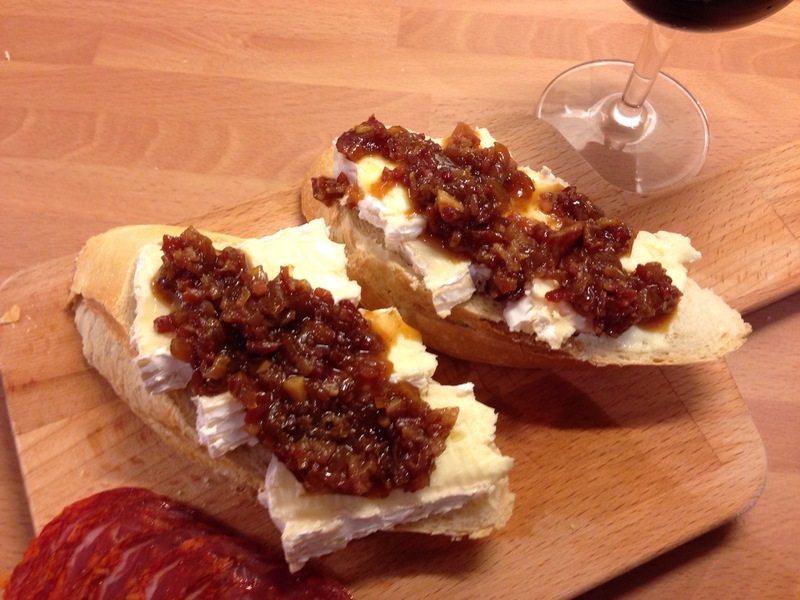 The Bacon Jam can be used on any number of things, cheese, burgers, toast….. Straight out of the jar into your mouth even! 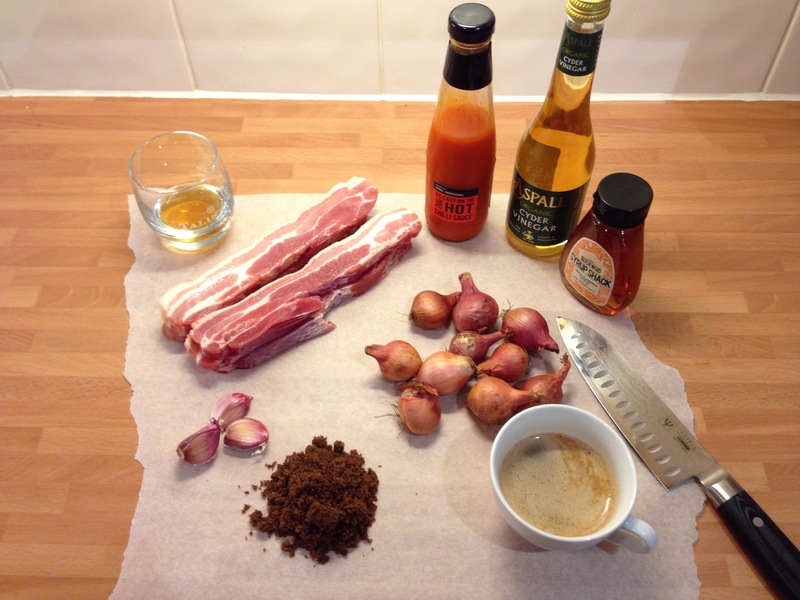 So I found this recipe on the web http://m.goodfoodchannel.co.uk/recipe/656636/bacon-jam-recipe/?rtn=/uktv/food.recipe/aid/656636 . I followed it pretty much but added some Whiskey ( what doesn’t taste better with booze in!) used shallots instead of onions and doubled the chilli sauce as I like a big of bite. I followed the method in the recipe but maybe just added 15 mins to the cooking time so the jam was really dark and sticky. After a bit of cooling time and putting into jars ( it will keep for about two weeks in the fridge) it was time to taste! The finished jam was lovely, deeply savoury and at the same time sweet, with just a hint of heat coming after from the chilli. This entry was posted on November 5, 2014 by paulb in DIY Food, Preserving.